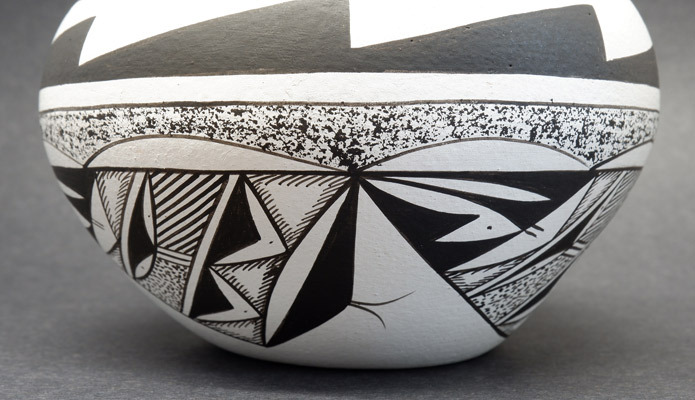 This charming handmade clay wedding vase is painted on one side with a lizard and the other side with a sun. This vase was made by Westley Begay (Navajo) who was inspired and taught by Marie Francis Vallo (Acoma), his companion for many years. 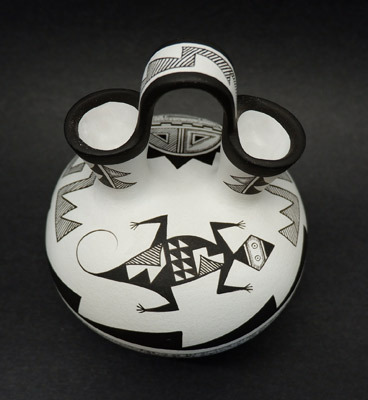 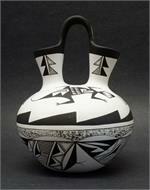 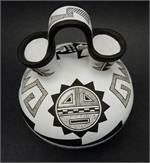 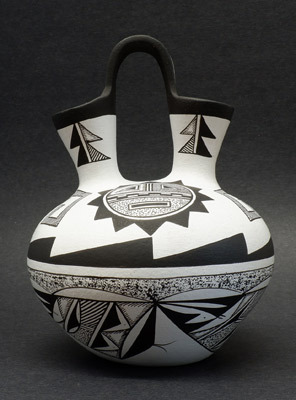 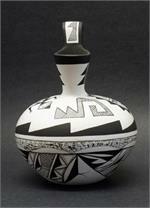 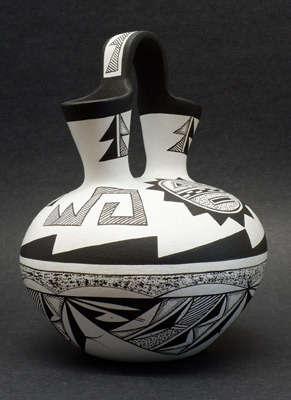 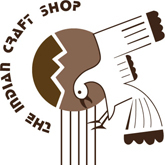 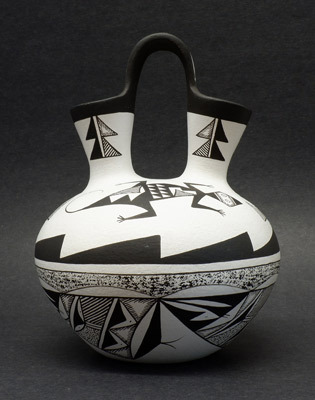 As a result, his work combines both Navajo and Acoma cultures as well as traditional and contemporary designs.